A Valentine’s date you’ll remember for a lifetime! Celebrate with us as we enjoy an evening of live jazz and classical music! Throughout the evening, a jazz quartet and classical chamber group will play the best in romantic jazz and classical music and with the lyrical stylings of a beautiful, sultry vocalist & violinist, you’ll be spellbound. Executive Chef Michael Ellis has pulled out all the stops in creating an exclusive menu for this special Valentine’s evening featuring several appetizer choices including Duck Egg Rolls, three entrée selections including Expresso rubbed NY Strip, and three dessert choices like our Two Layer Chocolate Dream, consisting of Amaretto Brownie, Chocolate Mousse and whipped cream. One drink ticket each for house wine, beer, or liquor. 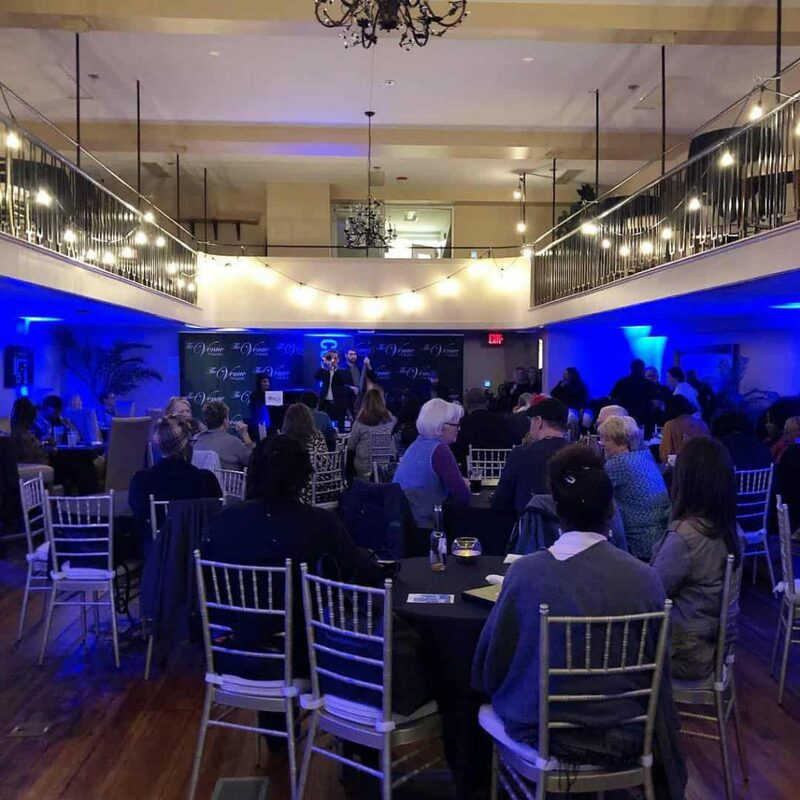 1626 Main Street (The Venue on Main) is a gorgeous room with black linen cocktail tables, a wrap-around balcony, and crystal chandeliers. 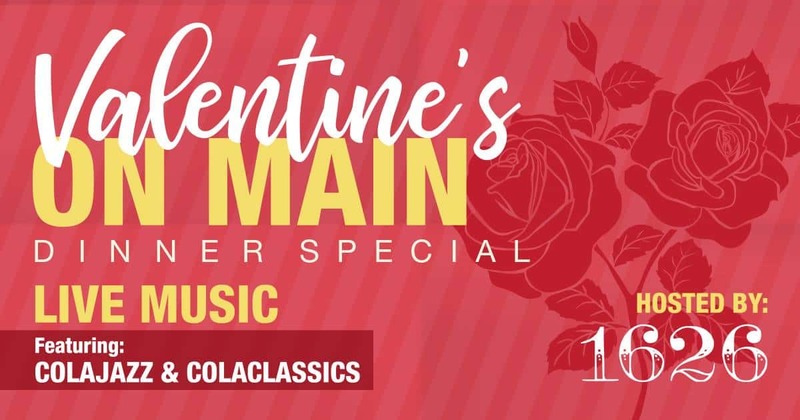 Live music by ColaJazz & ColaClassics will provide a romantic evening, sure to impress the love of your life. Mark Rapp, Catherine Galan, Nyamka Odsuren, Sam Edwards, Brendan Michael Bull, Greg Patterson, and others.